Based out of Walden, Colorado, we are a family-owned and operated business. 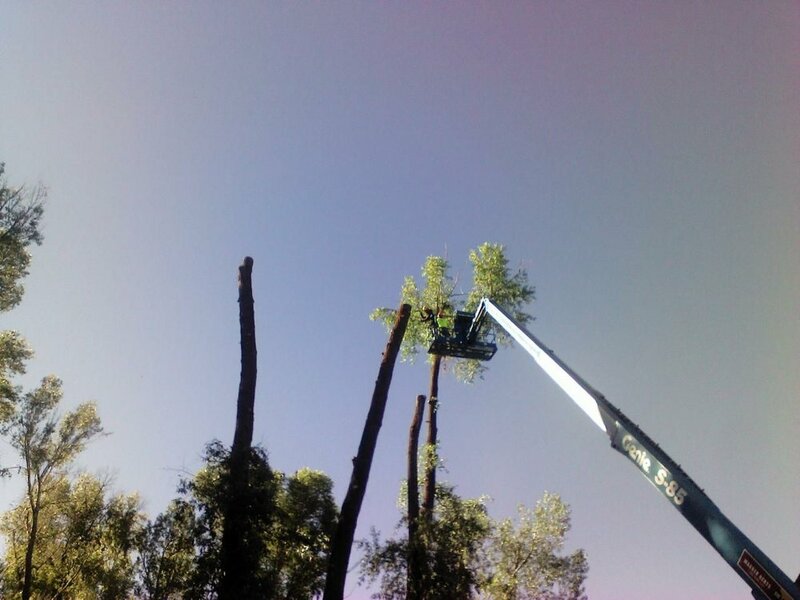 We offer a full line of tree maintenance services, including tight-spot tree take-downs, tree trimming, tree removal, stump grinding and fire mitigation. Furthermore, we offer bucket truck and chipper services. For the winter months, we've got you covered with our direct-to-door, cut and split firewood service. See our complete list of services below to see what we can do for you. Since 1992, Gonzales Firewood and Tree Service has served Northern Colorado and the Front Range as the go-to firewood and tree maintenance professionals. Today, we do business in Steamboat, Hayden, Craig, Oak Creek, Walden, Fort Collins, Loveland, Vail, Denver and all surrounding areas. Not sure if we can reach you? Give us a call to ask. Here are some of the services we offer. If you have any questions, or would like to request a quote, give us a call! Below are some examples of what real people have to say about the work we do. We take pride in providing quality service and building strong relationships with our clients.